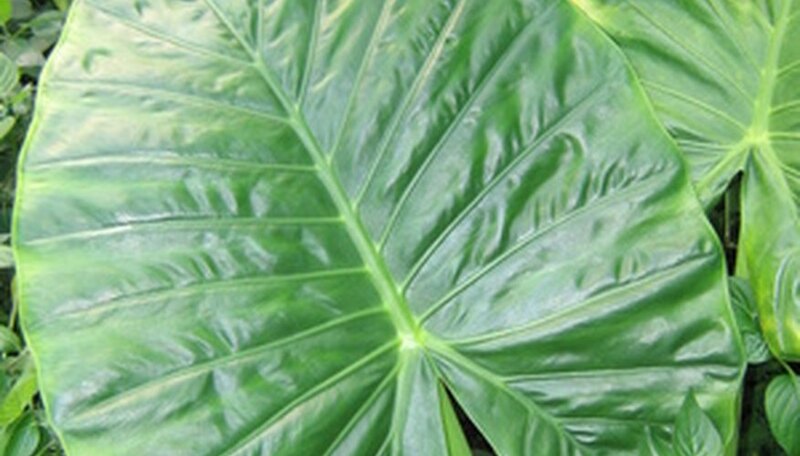 Plants in the aroid family with large shield-like leaves are often dubbed "elephant ears." 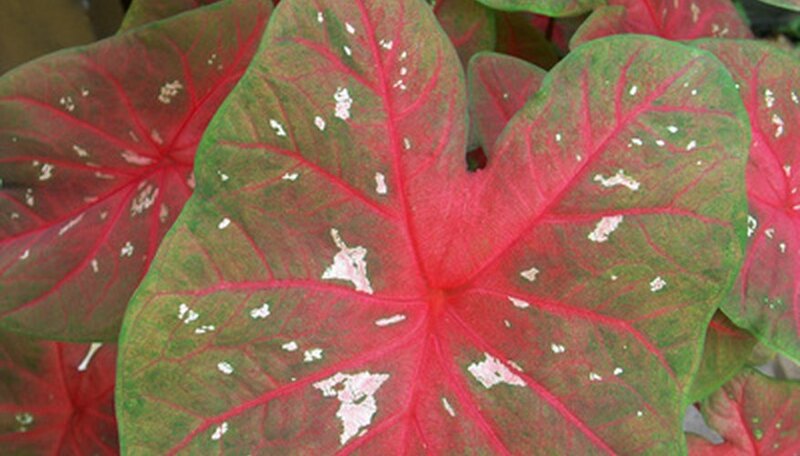 Often the frilly, multicolored leaves of caladiums (Caladium spp.) are planted to embellish and complement the flower colors of plants in summer annual beds and containers. Other elephant ears (Colocasia spp., Alocasia spp. and Xanthosoma spp.) bear variously colored large leaves, but the overall key to using companion plants around elephant ears is contrast in color and leaf textures according to "The Exotic Garden." The dainty foliage of ferns visually contrast the large, bold-sized leaves of elephant ears well. Juxtapose the foliage to amplify their differences. 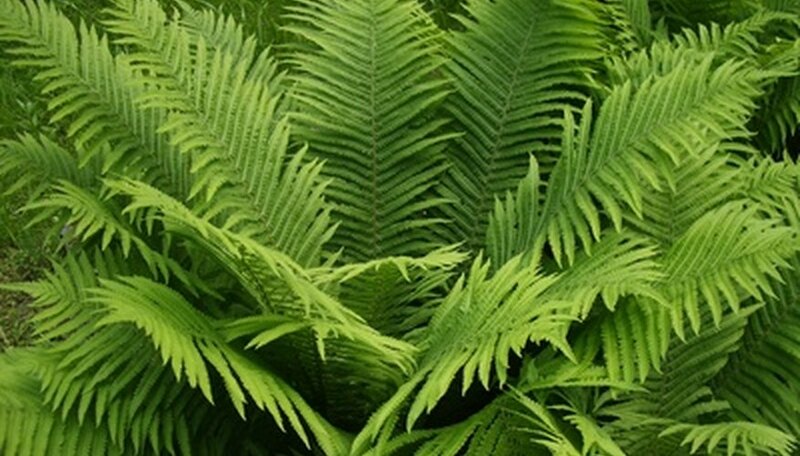 Also, consider using contrasting foliage colors of ferns with elephant ears; dark leaf elephant ears surrounded by chartreuse or light green fern fronds create heightened contrast. Coleus (Solenostemon spp.) are fast-growing herbaceous foliage plants with leaves that can range in color from yellow or green to purple, rust brown or burgundy-red. Their leaves are smaller than those of elephant years so they naturally complement each other. Pairing coleus with caladiums is particularly enjoyable as you can mimic or echo the colors in the caladium leaves in those of the coleus. 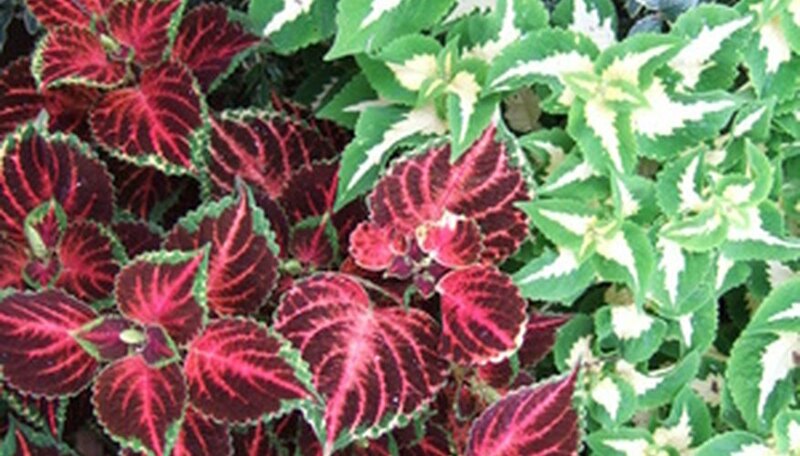 For example, an elephant ear leaf that is specked with white and pink will look good near a coleus with solid purple or light green leaves. A general rule: if your elephant ear is a solid color, pair it with a multicolored coleus leaf variety, or vice versa. Begonias grown around elephant ears bring a splash of color with their flowers, especially wax and tuberous begonia types. 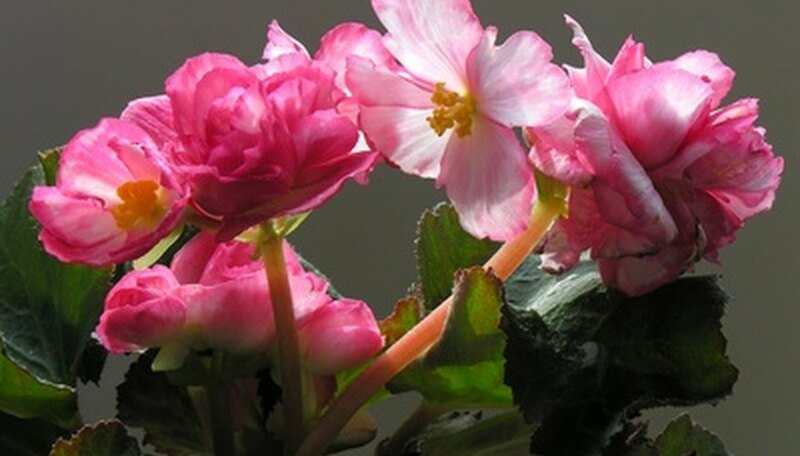 Use ever-blooming begonias to echo a color in the elephant ear leaves, such as using a pink or red begonia around elephant ear leaves with speckles or veins of red and pink. Or, green-leaved elephant ears can be made brighter by being surrounded by large numbers of flowering begonias because the petal colors and small size make great contrast. Play with different leaf colors and patterns among elephant ear plants, regardless of their botanical identity. For example, if one elephant ear plant produces solid-colored green leaves, consider intermingling it with another elephant ear that grows dark purple leaves or one that is speckled and striped. Again, visual contrast among leaves adds the design interest.